-RBNZ holds cash rate at 1.75% and issues neutral statement. -Low NZ inflation expectations remains a hindrance to Kiwi Dollar. -Possible US-China trade spat a key risk to the currency. 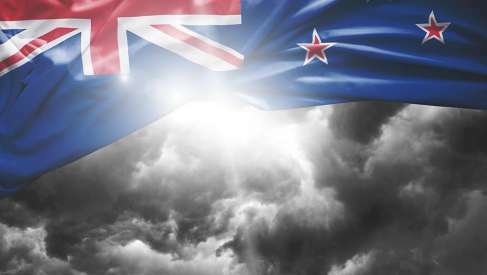 The New Zealand Dollar traded higher across the the board in London Thursday although this was no thanks to the Reserve Bank of New Zealand, which left a series of offshore factors to do the heavy lifting. The Reserve Bank of New Zealand surprised nobody when it left the Kiwi cash rate unchanged at 1.75% for March and made a broadly unchanged statement alongside the decision. In fact, the only difference between Wednesday’s RBNZ statement and the previous one was that it dropped any reference to the New Zealand Dollar in the latest one. 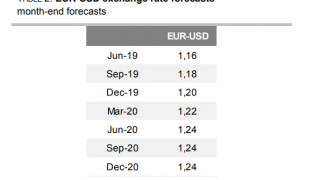 “There was no mention at all of the currency, probably because it’s been relatively stable since the previous meeting in February. I expect NZD to continue to weaken as the RBNZ stands aside from the global trend towards higher rates,” says Marshall Gittler, chief strategist at ACLS Global. In brief, the RBNZ sounded an optimistic tone on the global economy but noted that international inflation pressures are beginning to build and developed world monetary policies are becoming less stimulatory. “CPI inflation is expected to weaken further in the near term due to softness in food and energy prices and adjustments to government charges...Over the medium term, CPI inflation is forecast to trend upwards towards the midpoint of the target range. Longer-term inflation expectations are well anchored at 2 percent,” the RBNZ says, in its statement. The downbeat message on New Zealand’s inflation rates is a nail in the coffin for Kiwi Dollar bulls and those hoping for an interest rate rise in the near future, given that a change in monetary policy will require inflation pressures to pick up. It is, after all, inflation that central banks are attempting to contain when they raise rates. NZD/USD was quoted 0.41% higher at 0.7258 during the morning session Thursday while the NZD/AUD rate was 0.59% higher at 0.9349. The Pound-to-New-Zealand-Dollar rate was 0.18% lower at 1.9526. 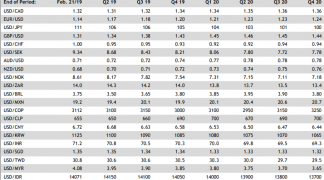 Much of the apparently positive performance from the New Zealand Dollar came long after the RBNZ announcement at 20:00 pm London time on Wednesday, and is attributable to largely to offshore factors. After all, the US greenback has been clobbered across the board ever since Wednesday’s Federal Reserve interest rate decision, where the central bank’s projections for long term interest rates disappointed the market. The Australian Dollar has also been thrown around thanks to a poorer than expected labour report delivered in the early hours while Sterling has seen a mixed performance against its G10 rivals ahead of the latest Bank of England interest rate decision due at noon Thursday. “The elephant in the room remains the Price Target Agreement (PTA) that incoming Governor Orr needs to sign up to, as we still have complete silence on this topic,” says Annette Beacher, chief Asia Pacific macro strategist at TD Securities. 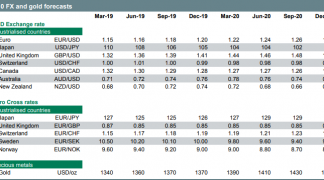 The RBNZ has maintained a neutral, if not dovish, stance on monetary policy in recent quarters, eschewing repeated invitations by reportes to provide clues as to when it may begin to consider raising rates. This contrasts with almost all other developed world central banks, which are either raising interest rates already or are beginning to step back from crisis era monetary policies such as quantitative easing. Even the Reserve Bank of Australia has dropped its neutral stance and told markets the next move in Aussie rates is likely to be up. Below-par inflation and softening economic growth are both reasons for why the Reserve Bank has held a neutral stance ever since cutting the cash rate to its current level back in November 2016. Other more recent reasons for its neutral stance include a pending changeover at the helm of the bank and an ongoing government review into its mandate. Adrian Orr, who recently ran the NZ Super Fund, is due to take the helm at the RBNZ when acting governor Grant Spencer steps down on March 27, so a change in rhetoric from the bank was always unlikely before then. However, even he may be restrained in his role until the government concludes its review. New Zealand’s coalition government pledged to overhaul the bank in the run up to the September 2017 election, with key reforms including a shift to committee based decision model and a so called dual mandate. Currently, the governor alone decides the cash rate, while a dual mandate would see the bank obligated to nurture full employment as well meet its 1% to 3% inflation target. 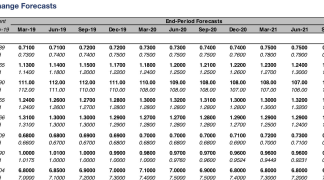 “OIS is flat at 1.75% through to August, and +25bp is barely priced for Jan 2019 (the RBNZ meets in Feb 2019),” Beacher notes, referring to market implied interest rate expectations. Few analysts see the new mandate making much difference to the level that interest rates are set at over the longer term though. What matters more in the short term is the regular flow of economic data and what it says about the economy. And recent data has pointed toward softer growth and moribund inflation pressures. New Zealand’s economy grew by 0.6% in the fourth quarter of 2017, according to Statistics NZ data released earlier in March, which is unchanged from the pace of growth seen during the three months to the end of September 2017. Economists had been looking for the Kiwi economy to gather a bit more steam during the final months of the year, with faster growth of 0.8% expected, which would have marked a break with the slowdown observed earlier on in 2017. This left annual GDP growth in New Zealand at 2.9% for 2017, a country mile lower than the 4% growth seen during 2016 as a whole, which highlights the extent to which momentum has ebbed from the economy in recent quarters. Looking ahead, markets will keep a wary eye on the White House given reports President Donald Trump is mulling a wave of tariffs on Chinese telecommunications and intellectual property goods, which would heighten fears of a global trade war if new levies materialise. China has previously said it will retaliate against earlier tariffs the White House imposed on aluminium and steel if it is not exempted from them, suggesting it could well respond if targeted directly by the White House. Any trade spat between the US and China would rile markets and be important for the Kiwi Dollar because America and China are two of New Zealand’s largest export markets. A fracas between them will be bad news for all.